Want to play Women’s Soccer? Then OISC is the club for you!!! The OISC Women’s team, first established in 2012 is on the lookout for new players. 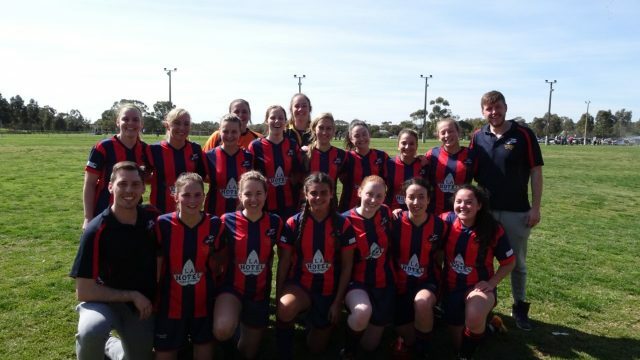 Having taken out two successive league titles the Lady Wolves will be competing in FFSA Division 3 on Sunday’s in 2019. The team trains on Monday and Wednesday nights at Glenunga Reserve (L’Estrange Street, Glenunga). Everyone is welcome no matter what your skill level, so if you want to join a great bunch of ladies and a great social atmosphere then we’ll see you at training!!! If you want more details please contact President Julian Soriano on 0434 965 566 or Secretary Michael Pannunzio on 0421 228 696.